Kathleen Fallon has been named to a key post in charge of protecting coastlines and coastal communities. She will serve as the primary technical resource on coastal processes and hazards—including impacts of climate change, shoreline erosion and erosion management, coastal flooding and mitigation planning, coastal structures and engineering, and marine facilities design, operation, and management—for New York Sea Grant and Cornell Cooperative Extension. As marine district coastal processes and hazards specialist, she will plan and conduct education programs about risks to shoreline communities and the measures people can take to reduce risks from natural processes such as erosion and flooding. She started on September 1. In her new role, Fallon will be based at Stony Brook University (SBU) on Long Island. She earned her B.A. from the university in 2012 and is native to the area. She completed her Ph.D. in geosciences from Florida International University this year. "Kathleen Fallon knows Long Island and its coastal processes," said Katherine Bunting-Howarth, associate director of New York Sea Grant. "We’re excited to have her on staff, with her expertise in working with landowners, businesses, communities and agencies. She has great knowledge about how people can become more resilient to natural hazards related to living, working, and playing along the coast." Fallon assumes the position previously held by Jay Tanski, who retired in 2017 after 34 years of service as coastal processes specialist to New York Sea Grant. Fallon won the 2013 Nathan L. Halpern Award for the study of coastal processes on Long Island. She has written articles on rip current hazards in Miami, and awareness among beachgoers, pending publication in Natural Hazards and Shore and Beach. Fallon explains her interests in beach morphology, storm impacts, rip currents, human interactions, sea level rise and coastal and marine conservation. "My dissertation explored rip currents,” she continued. “Early on in my research I knew that I wanted to incorporate some sort of study of the impact rip currents have on people. While I was able to still focus on the physical science of the coast, I also made an attempt to bring the social and physical sciences together. I have found great enjoyment in this collaboration and I’m fortunate to have found a career that will allow me to continue. "At this new position, I hope to achieve the same by 'bringing science to the shore.' I enjoy explaining coastal processes to people and always hope to instill in them even a little bit of the passion I have for the beach. I am very excited to have been offered this opportunity and look forward to working with coastal communities." Roy Widrig, NYSG's Great Lakes Coastal Processes and Hazards Specialist, spends time away from the water at Dinosaur Ridge, in Morrison, Colorado, near the Red Rocks Amphitheatre. Roy Widrig has been named the new Great Lakes coastal processes and hazards specialist for New York Sea Grant. He is based at the State University of New York (SUNY) at Oswego, where he began on September 5. Widrig has a B.S. 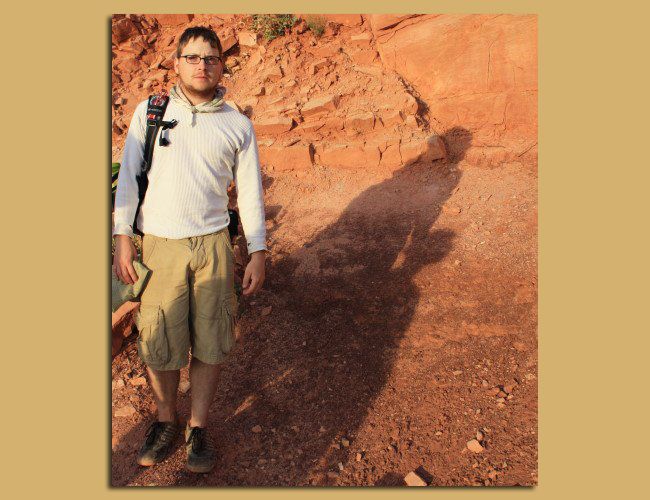 in geology from the SUNY College at Oneonta and a M.A. in geological science from the University at Buffalo. Most recently, Widrig has been a water quality subject educator at Cornell Cooperative Extension of Onondaga County. "I've been a native of the New York Great Lakes region my whole life," said Widrig. "For as long as I can remember, I have had an interest in streams, lakes, rivers and erosion. After getting a bachelor's and master's degree in geology and climate, I decided that I wanted to help people adapt to their changing environment and climate while conserving the natural state of the Great Lakes region. I've always prided myself on being able to communicate important scientific concepts to the public, and my interests and skills led me directly to this position with Sea Grant." Anna Weshner-Dunning has been named Long Island Sound study outreach coordinator, a SBU-based position she started on September 12th. Weshner-Dunning has a B.S. in marine biology from the University of North Carolina at Wilmington and a M.A. in environmental conservation education from New York University Steinhardt. Most recently, Weshner-Dunning has served as outdoor educator for the Bronx River Alliance in Bronx, New York, where she led groups of students and community members in hands-on learning experiences along the Bronx River. She involved the public in activities related to water quality, macro-invertebrate monitoring, fishery education, recycling and sustainability. 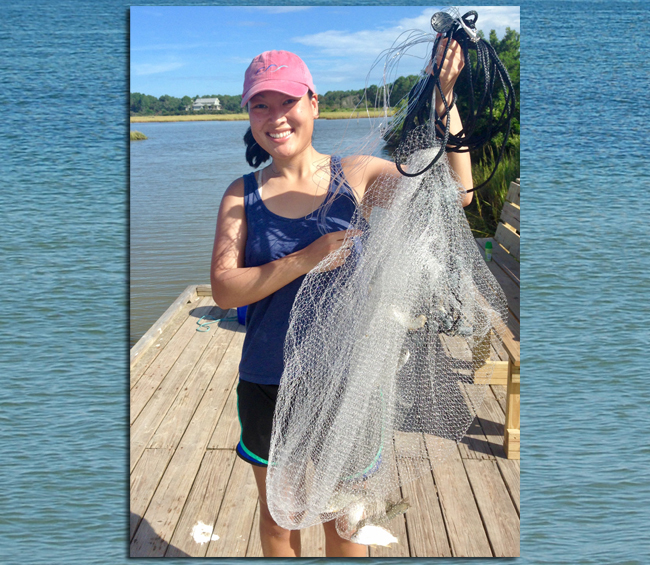 "I have had a lifelong love and passion for marine science," said Weshner-Dunning. "Previously, I envisioned a career in research, but soon realized that I was happiest when interacting with the community. I look forward to developing relationships and creating an open dialogue with both community members and stakeholders regarding the conservation of the Long Island Sound." 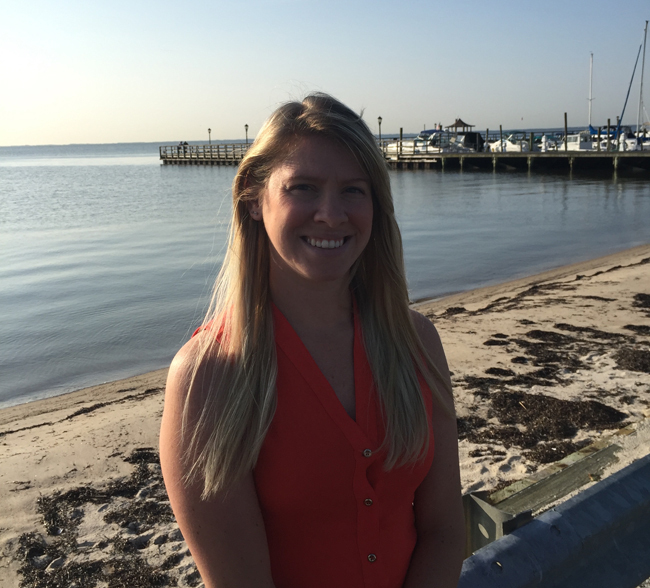 Weshner-Dunning will provide major leadership for the outreach program of the Long Island Sound Study (LISS) in New York. She will also work to increase appreciation, stewardship, awareness and understanding of Long Island Sound and efforts to restore and protect it. In addition, she will develop programs and materials employing social marketing techniques. "The aspect I look forward to most is the opportunity to share and communicate the research of the Long Island Sound Study," Weshner-Dunning said. "I will encourage community members to use this information to become involved and active members in local policy-making decisions."